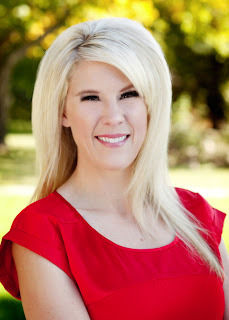 Yes she was the "face"of Provocraft for a very long time. Now she has her own company and has new paper collections out. So today we are going to give away her new lines. Fun huh? One lucky reader will win the Bella Vita Collection and another lucky reader will win the Gypsy Queen! Leave a comment by midnight EST Tuesday to be entered to win! Tell us what you like about either or both collections! US Residents only and please leave a way to be contacted if you win. I really like the rich colors in both collections-- especially the different blues! I love the peacock feel to the Bella Vista line! I love these new collections, and I can't wait to get my hands on the new armoire from Jinger! I am loving the vibrant colors and patterns in these collections. The papers in the Bella Vita collection are so rich and beautiful. Congrats, Jinger, on your new line! I love all of the patterns in these! They would be awesome for layering, etc. Sweet! Love the bold colors and fun patterns of the Gypsy Queen collection!!! Especially that fun butterfly! Love!! Utterly lovely lines! Those colors are stunning in both of them and the colors and patterns are very versatile which is always high on my list of requirements. So unique! I'd love to work with these beautiful designs. 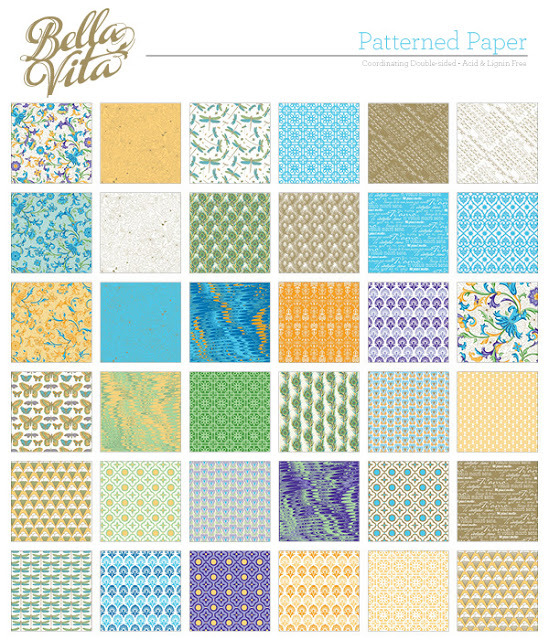 The Bella Vitta line has so many papers that I like! I can see using several of them for a collage on a canvas. I think they are BOTH lovely! The Gypsy Queen collection has colors that are so rich and pretty - very appealing! And the Bella Vita collection is so pretty and springy! LOVE the peacock feathers in it! I LOVE the Bella Vita Collection--blues are my favorites! Bold bright colors!These would be fun to play with!! I love both lines. The vibrant colors really draw me in. If I had to pick one, it would be Bella Vita. Both have such great color combinations and little prints that I love! Everything goes together so nice! I love the colors of both collections, especially the bella! Yellows are my thing, and i believe I spy a sheet of paper with peacock feathers?! I LOVE the patterns! Wow, so rich. First of all, congratulations to Jinger of launching her own line, how exciting! Both are beautiful, but I personally am drawn to the softer color pallette of the first line. I can see making beautiful cards, layouts and even using them in my art journal and mixed media pieces! Really lovely. Thanks so much for the sneak peek and the chance to win! I really like all the blues and purples in both collections but the bold patterns in the Gypsy Queen collection makes it my favorite of the two. What lush, sophisticated patterns!! Bella Vita especially looks like it would be fun to play with. I love the colors and patterns in the Bella Vita collection. I'm really loving the colors in the Bella Vita collectioN! Purple & green is my favorite color combo, and with some aqua thrown into the mix, who wouldn't love Bella Vita? Gorgeous! 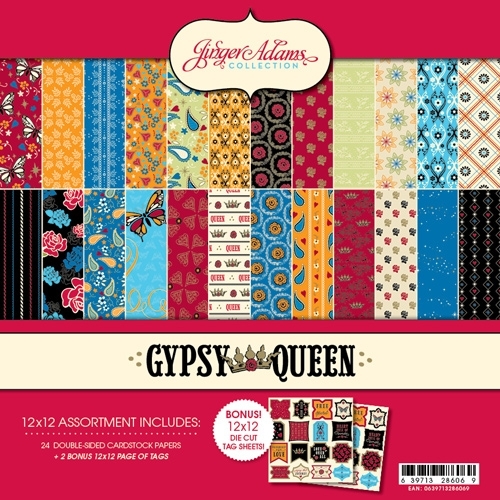 And the Gypsy Queen collection is so dramatic with those bold colors and beautiful patterns! They're both winners in my book! 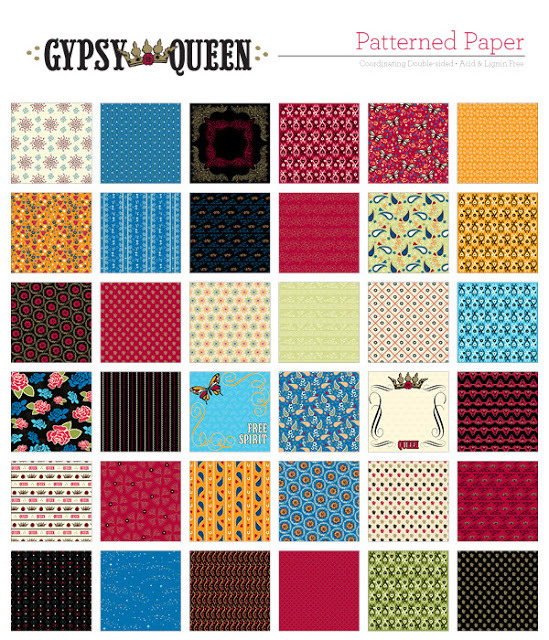 I love both collections, especially the warm, rich colors of Gypsy Queen! I adore the BOLD and BRIGHT color combinations of Gypsy Queen ... the oranges and blues together just make my creative heart sing!! I love the Bella Vita. Great color combo and patterns are so fun. I would have a hard time choosing between the two. They are both so beautifu! I love the patterns of each of the lines. Very different and very cool. I like the colors of Gypsy Queen. Love those collections. The colors are so vibrant. Really like the butterflies. Thanks for the chance to win. Love the colors and designs in Bella Vita-so happy and vibrant. The colors and patterns on both collections are awesome. My favorite is the Bella Vita due to all the blues!! Nice variety of patterns in both collections! Love the gypsy collection. Great color and patterns, can't wait to play with these great papers! both of these collections are just gorgeous!! 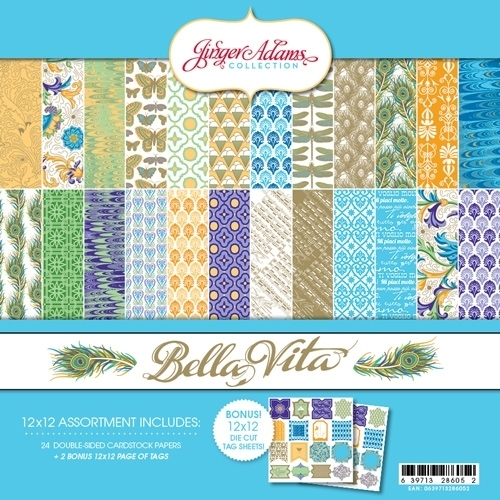 I especially love the Gypsy collection because of the dramatic colors and patterns but Bella Vita would be perfect for layouts too!